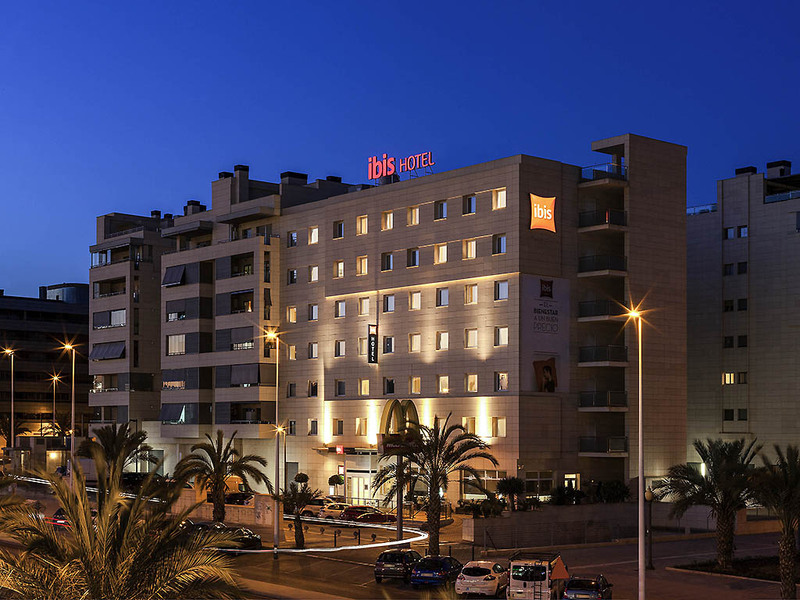 Welcome to Ibis Alicante Elche, where you can enjoy a pleasant stay in Elche, strolling through the Palm Grove and taking advantage of our proximity to the beach. Come to Ibis Elche hotel and enjoy your business trip or a low-cost beachside family or couple's vacation. Our rooms are fully equipped with comfortable beds, free WIFI, air conditioning and heating so that you have everything to feel at home. There's also a 24-hour bar, parking and buffet breakfast every day. The whole Hotel Ibis Elche staff is ready to meet all your needs. In the coastal area of Alicante, Elche offers endless entertainment for kids, including various museums to visit such as the Archaeological and Historical Museum and the Palaeontology Museum. Take a break in the Arab baths. Located next to the city's main sports facilities. Direct access to the beaches of Arenales del Sol, El Altet and El Carabassi. Easy access to Alicante International Airport and well connected to the city center. We're improving our facilities, so we're launching our Mobile project. We want to provide a warm reception and make you feel at home, so we're removing barriers to get closer to you with mobiles. Welcome!